do you think the ap team could hit up the black book i'm ordering just like the inside cover with tags or something? First I'd like to say I love the flow of the ink of the 127 Oneforall markers and wish there were more shades of colours. But the reason for my rant is that I am absolutely appalled at how horrible the 1mm nibs are. I purchased about 10 packs of nibs, 1.5 and 1 mm. The 1 mm I have used 4 of them in less than 2 hours of painting. They clog and stop working, no ink flows through them and it is impossible to make them work again. I have to throw them away, cannot paint with 1mm nibs because they work for a while and then kaputt. So what is going on? The 1.5 and 2 mm nibs work really well, but I feel cheated off my money with the 1 mm nibs that don't work. Plus all the ink wasted from exchanging nibs! I hate to see that go down the drain. Molotow should take into consideration how terrible these 1 mm nibs are (they look pretty and initially have a nice flow, but suddenly, out of the blue they stop and there is no way to "unclog" them. There are no Molotow products were I am from, so I've had to have markers and nibs brought from the US and Germany (by mail and friends) only to go through FOUR 1 mm nibs in 2 hours! What a waste...of nibs, ink and my time and money. I am frustrated and disgusted with this product. Molotow, don't make 1 mm nibs if you are going to make them this bad. Every single user of 1 mm nibs on earth, must have had this type of problem, how can you continue selling this? I hope someone addresses this issue for the sake of Molotow's image and the sake of getting as much repeat business as possible. Thank you. yo ArtPrimo where do I start? honestly I wouldn't even care if you ran your business like a joke because you got everything I could ever want/need but you don't do that! you run your business like you actually care about artists out there! especially the ones that don't get paid to do it but just do it because they love to paint/draw/get creative. GR knows his sh*t and you can tell he loves what he does (How could he not?). 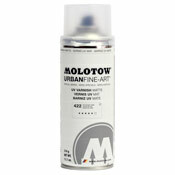 Molotow products are impossible to find in stores. Hobby Lobby carried molotow for like a year then abrubtly stopped I think they realized they were getting racked whatever f*ck Hobby Lobby. God Bless ArtPrimo AP 206!! AP stocks great products, makes great products, and has great customer service. The awesome videos are just the icing on the cake. All around great company. LOVING my blue spring fever filled drip mop and the toxic shocker! Had a small issue with shipping, and they helped sort everything out for me. Just bought a AP solid marker and another filled drip mop, damn i love these filled drip mops! Like everyone else is saying, the shipping is really fast! ArtPrimo got the good prices, supplies are expensive in my town. Art Primo is so badass. I just ordered the Playa Blue Smash Ink and first of all, AP is f*ckin johnny-on-it with the delivery. I got my sh*t hella quick. They even threw in a couple stickers and a fat cap. Lord knows i love me some free stickers yo. So thank you guys for your dope customer service. You guys got a custy for life. Now, as for the blue smash. Holy f*ck balls. This sh*t is some of the dopest stuff out there in my opinion anyway. i LOVE the blue. Its perfect for my drip mop mini. It really does stand out and catch your eye for sure. On a wall full of tags youll most likely be drawn to this blue first. But anywho, thank you guys for being and staying on the ball. Its because of that that ill happily give you guys all my money from now on! lol! Thanks again homefries! Guys, there is such a wide variety of caps, each with their own purpose and many of them look alike. The very simplest thing in the world to do would be to label your caps prior to shipping. I order them 50-100 at a time in packs of 10, and I like to experiment with new caps. But each time you ship them, none of the packs are labeled. Sometimes someone will scribble something illegible on there with a sharpie, but most often it's just a clear zip-bag with caps. I have no idea what's what, so I have to go back to the website, look up what I ordered, match it up with the pictures on your CAPS page, and then make my own labels. Otherwise, in the field I would have NO IDEA what cap to use, or be able to tell which were my favorites. CHANGED TO A QUESTION Hello I am trying to buy: Shopping Cart	more 5 x NY Fatcap 5 x German Outline 3 5 x Flame Super Fine 1 x Mixing Caps 2 x Molotow Pipe Skinny Cap 10-Pack 1 x Boston Thin Cap 5 x Sekt Cap Adapter Pink 5 x Sekt Cap Adapter Yellow 1 x Valspar Gem Cap Somehow the shipping has added up to $202. Why is it so expensive to ship these things? And is it possible to find a lower shipping cost?